Welcome to Debbie McGowan and Raine O’Tierney! 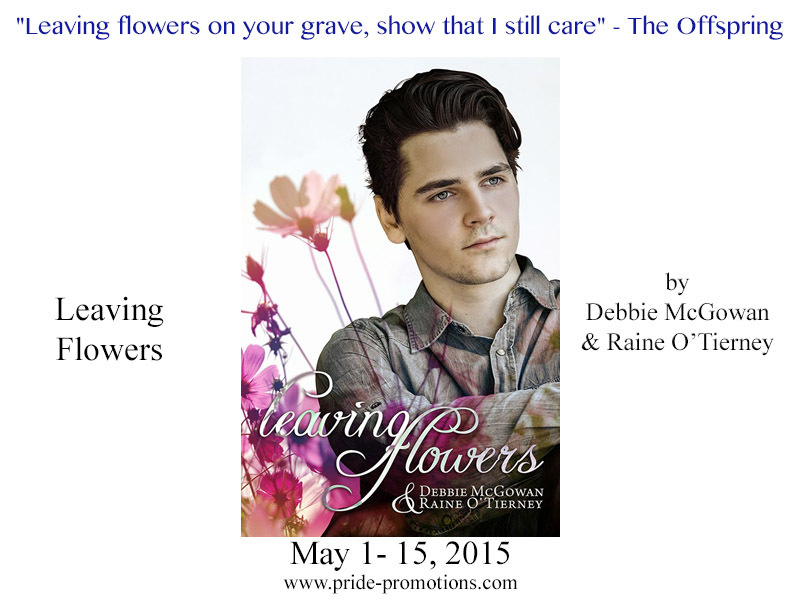 They’re sharing an excerpt from their new release Leaving Flowers, and a giveaway! RAINE O’TIERNEY lives outside of Kansas City with her husband, fellow author, Siôn O’Tierney. When she’s not writing, she’s either playing video games or fighting the good fight for intellectual freedom at her library day job. Raine believes the best thing we can do in life is be kind to one another, and she enjoys encouraging fellow writers! Writing for 20+ years (with the last 10 spent on gay romance) Raine changes sub-genres to suit her mood and believes all good stories end sweetly. Contact her if you’re interested in talking about point-and-click adventure games or about which dachshunds are the best kinds of dachshunds!